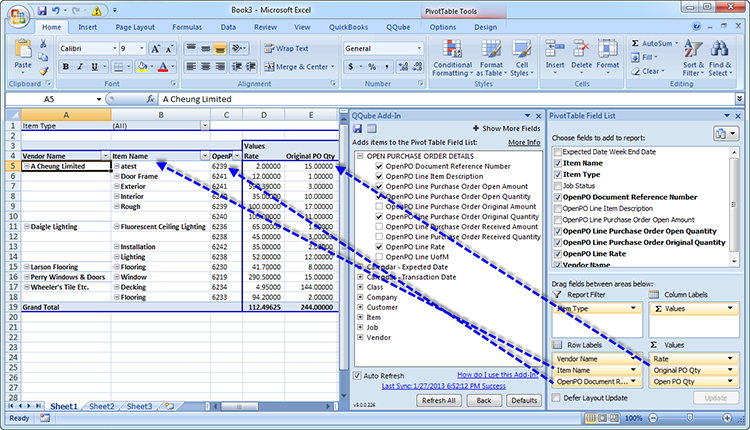 What is a Microsoft Excel Pivot Table? Literally anyone who has been exposed to them, because once you have seen them in action, you want to use them to leverage your work. So anyone from a college student trying to make sense of BIG data, to corporate data scientists working on a Power BI solution, to the CEO of S&P 100 company can learn to use Pivot Tables. And once you have, you will be hooked. Once you use Pivot Tables there is no going back. What does a Pivot Table look like? Like this. Much different than a worksheet, and that is what prevents many people from learning them, they look at the layout and think it is too hard to learn, that it is above them. But they are not; they are easy to use. And once you learn them, you are hooked. How good are we at building Pivot Tables? We have been building Excel Pivot Tables for our clients since 1994. We have built Pivot Tables for hundreds and hundreds of clients since 1994, and PivotTables are the second most requested Microsoft Excel training that we do in our local onsite Excel workshops in our Irvine California training center. They come right after Microsoft Excel formulas and functions training, and for good reason, Pivot Tables make sense, literally. They make sense of BIG data, even if you are not a data scientist or Power BI expert. 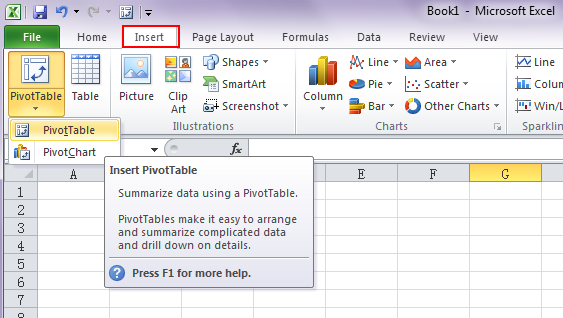 Why should you use Pivot Tables? Simple, they allow you to wrap your mind around large amounts of data, these days referred to as BIG data. The new phrase for people that work with large datasets in MS Excel is Data Scientists, even though they are not scientists, but rather intermediate or above Excel power users. Anyhow, that is what they are called these days. And unless you want to use the Microsoft Excel Power BI components in Excel, such as Power Pivot, Power Query, Power View and Power Map, the standard Pivot Tables can help you to make sense out of your data, quickly and easily, without yourself being a power user. They are that easy, they can be setup in minutes, using the Pivot Table Wizard. The image below gives an example of one you can easily create. 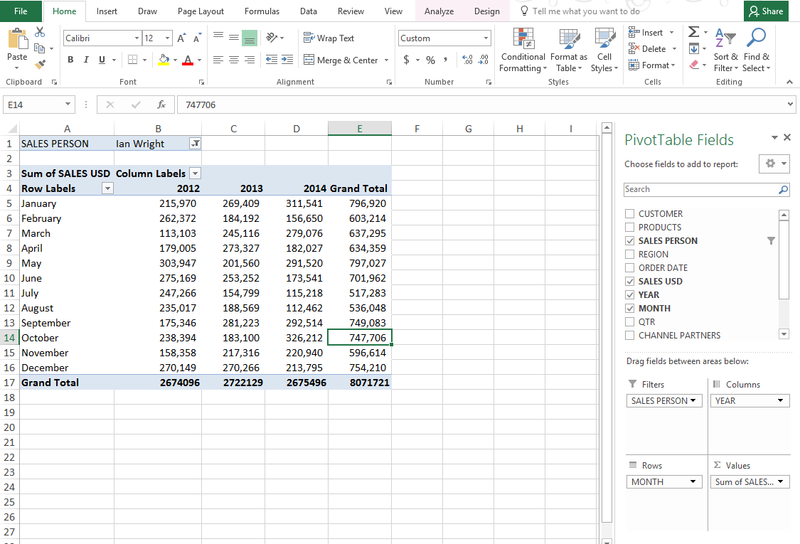 How to quickly create a simple Microsoft Excel Pivot Table. The first step to creating a Pivot Table is to put your Excel data in proper order. Not doing so will prevent you from displaying correct or meaningful results. But if you follow the guidelines below you will be able to analyze large amounts of data quickly and easily. Put your data in a tabular forma. In doing so you will want to make sure each column has a column heading. Beneath that place your data in rows. Secondly, make sure that there are no gaps in the data. Each row must be populated. This will be your Pivot Table’s data table. Once this is done, and once your table looks like the one below, select a cell in the table, and press two keys at the same time, the ‘Ctrl’ key and the ‘T’ key. This will tell Microsoft Excel that you want to use this table as the source data for your Pivot Table. And you do not need to take the time to first select the entire table before pressing Ctrl + T, as Excel is smart enough to figure out what you are doing, and it will select the entire table for you, as you can see in the print screens below. This is how your first Pivot Table will look at this point. Nothing fancy at this point, just a basic Pivot Table with all of the components setup. 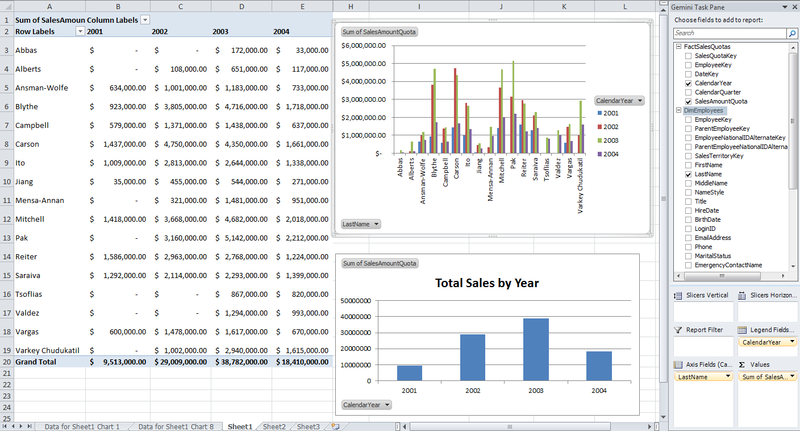 You can alter the appearance and such as you work on it, you can even add Pivot Charts, which is equally easy to do. And a nice thing about working with Pivot Tables it is this, the more Pivot Tables you create or work with, the quicker you will get and the more advanced your Pivot Tables will become. Then you will be known as the office Excel Power User. And you will laugh, because it is all just so easy. 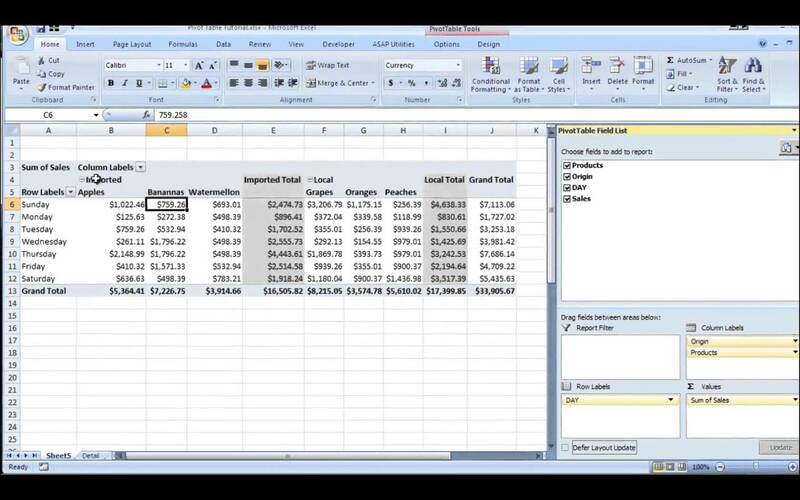 There is quite a bit of information to present that covers what you do with a Pivot Table after it is created. There are many options, you can either keep them simple, or make them amazingly complex. So in following posts we will cover that. For now know 1) what a Pivot Table is, 2) who uses them, 3) what they look like, and 4) how to quickly create one. Look for Part Two which is coming shortly. Let us be the solution to your technology challenges. Posted on February 25, 2016 Posted in Blog Category and tagged Microsoft Excel Pivot Tables.